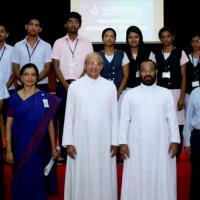 The centre for Research & Development and IEDC of Sahrdaya college of Engineering was blessed by Msgr.Sebastian Maliekal . 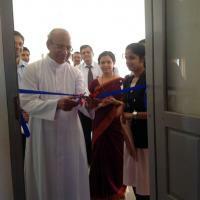 And the centres were inaugurated by Fr. Antu Alappadan in the official program that followed. Keynote address was delivered by Mr. Sreerag Dileep ,Manager of Governance and Opportunities, Startup Village. Memorandum of understanding was signed by the Principal Dr. Sudha George Valavi representing Sahrdaya and Mr.Sreerag representing startup regarding startup bootcamp activity at Sahrdaya. The Christmas celebration for all Sahrdayans. The season of forgiveness and well wishing. The student’s council in association with Electoral Registration office is arranging a Voter’s I/D card registration camp on 7th Nov.All those who are completing 18 years of age as on 1-1-2015 shall register for voter’s I/D card. 2) Copy of Voter’s I/D of any one of their parents or brothers or sisters.